Puppy Class is a fantastic way to get your new puppy off to his or her new start. There is plenty of advice and time for socialisation with other puppies which can really enhance your relationship with your puppy, and the relationship of your puppy to other dogs and people. The Narre Warren Vet Clinic Puppy Pre-School program provides dog socialisation and advice for care of your new dog. Puppy Pre-School will help ensure your pet of a happy and healthy life. Puppies require exposure to as many different experiences as possible, as socialisation is so important to your pup’s emotional development. The optimal age for dog socialisation is under 14 weeks of age and puppies which are isolated during this time are more likely to be aggressive, fearful and antisocial. Puppy Pre-School helps your puppy’s socialisation in a safe and non-threatening environment helping to result in a well-adjusted dog! Before taking your puppy to Pre-School, your pup will need to be checked by one of our Vets and your puppy’s vaccinations must be up to date. 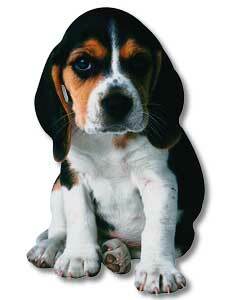 Puppy Preschool is run in conjunction with the Narre Warren Veterinary Clinic. We love meeting new puppies and watching them grow. Enrol in puppy class today. Are you the owner of a new puppy? If so, why not download our New Puppy Guide.